The media have done an impressive job in making the public aware of the importance of fiber, particularly its role in reducing the risk of coronary heart disease and cancer. But, did you know that fiber also can help you achieve your weight-loss goals? Yes, by means of its key role in digestive health and creating a sense of fullness, fiber can help you lose weight. Women should get about 25 grams a day and men at least 35 to 40, but the average person gets just 15 grams a day. Eating fiber-rich whole foods — not foods that tout “added fiber” — is the best way to increase your fiber intake. Most people consume less fiber on a daily basis. 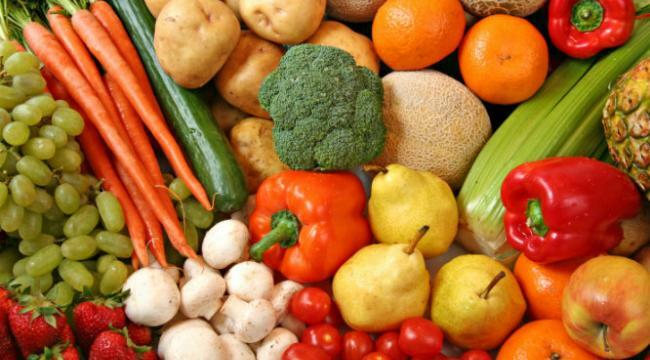 The simple act of increasing your intake of fruits and vegetables each day can boost your fiber intake. Fiber can boost fat loss and help you with weight issues. Fiber intake is one of the most natural ways of reducing high cholesterol levels in the body. If you have diabetes, consuming the right amount of fiber can actually allow you to eat a variety of food that otherwise, you would not be allowed to consume. Fiber manages blood sugar levels effectively. Fiber deficiency is one of the main reasons people get constipated and we all know that constipation is bad, it leads to toxic build up, sickness, fat gain and has links to colon and other cancers. One of the reasons we are consuming less fiber is that various food processing methods can strip fiber from the food. This is why packaged foods are bad for us. If the food label has less than 2 grams of fiber, don’t buy it. It will create havoc with your blood sugar levels and that in turn leads to fat gain. Beans are also a great source of dietary fiber, rich in protein and keep you feeling full for a longer time. Fruits and nuts are also rich in fiber and must form a part of one’s daily diet. Psyllum husk ( Isabgol) is fantastic fiber for your body. It detoxes, pulls away cholesterol and fat globules from the body. As always, it should be consumed in moderation. Grains obviously have fiber, but not as much as you think. A slice of white bread may contain only 0.5 grams of fiber, whereas a slice of whole wheat may contain 2 grams per slice. Compare those numbers to a cup of kidney beans containing 17 grams and a cup of berries containing 8 grams. Fiber is critical to good health and belongs in every weight-loss protocol. It’s time to make a serious effort to put more fiber on your plate.